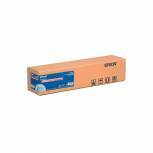 Canon Uncoated Standard Inkjet Paper Rolls (Pack of 3) 610mmx50m 97003452 Pack of 1 Canon Uncoated Standard Inkjet Paper 610mmx50m 97003452. Ideal for high quality working drawings. 90gsm. Pack of 3 rolls. 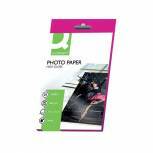 Q-Connect A4 Gloss Photo Paper 180gsm (Pack of 50) KF02771 Pack of 1 Q-Connect A4 photo gloss paper 180gsm. Instant dry inkjet photo paper, suitable for use in all inkjet printers, fast drying, fade resistant, smear resistant, inkjet receptive coating on one side. Can print text on the back. Canon Uncoated Standard Inkjet Paper 914mmx50m (Pack of 3) 97003448 Pack of 1 Canon Uncoated Standard Inkjet Paper 914mmx50m 97003448. Ideal for high quality working drawings. 90gsm. Pack of 3 rolls. Canon Uncoated Draft Inkjet Paper (Pack of 3) Rolls 841mmx50m 97003455 Pack of 1 Canon Uncoated Draft Inkjet Paper 841mmx50m 97003455. Perfect for line drawings. PEFC. 75gsm. Pack of 3 rolls. Q-Connect White 10x15cm Glossy Photo Paper 260gsm (Pack of 25) KF01906 Pack of 1 Heavyweight high gloss paper for a professional photographic look and feel. Ideal for digital cameras, full colour scanned photographs, advertising and promotional literature. 10 x 15cm. 260gsm. 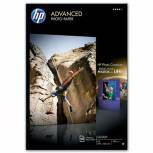 HP A4 White Advanced Glossy Photo Paper 250gsm (Pack of 25) Q5456A Pack of 1 HP Advanced Glossy Photo Paper Q5456A. Instant-dry photo paper ensuring a professional finish providing vivid, true colours, resistant to water, smears, fingerprints, and humidity. For most inkjet printers. Size - A4. Weight - 250gsm. OEM: Q5456A. 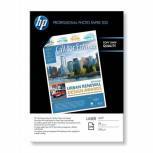 HP A4 White Professional Matte Laser Paper (Pack of 100) Q6550A Pack of 1 HP Matt Laser Photo Paper. 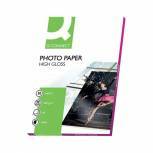 Bright white A4 photo paper features a glossy coating on both sides for outstanding colour photos. This, combined with its 200gsm weight, makes it ideal for in-house printing of professional-quality documents. OEM: Q6550A. 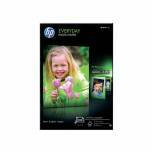 HP White 10x15cm Everyday Glossy Photo Paper (Pack of 100) CR757A Pack of 1 Hewlett Packard Everyday Glossy Photo Paper 100x150mm Pack of 100 CR757A OEM: CR757A. 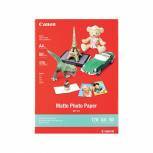 Canon A4 Matte Photo Paper 170gsm (Pack of 50) MP-101 A4 Pack of 1 Matte photo paper for stylish prints. Ink is absorbed quickly to ensure precision. Durable 170gsm paper weight. Gives colours a rich and vivid finish. Format: A4 (210 x 297mm). Pack of 50 sheets. 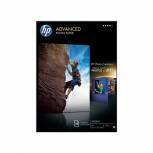 HP White A3 Advanced Glossy Photo Paper (Pack of 20) Q8697A Pack of 1 HP Glossy Advanced Photo Paper offers instant drying for water-resistant photos you can handle Straight from the printer without smudging. Size - A3. Weight - 250gsm. OEM: Q8697A. 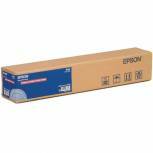 Epson A3 Premium Glossy Photo Paper 255gsm (Pack of 20) C13S041315 Pack of 1 Quality clean and clear paper. Provides a smooth and clear surface for printing. 255gsm weight offers lasting protection. Glossy finish for added quality. Format: A3 (297 x 420mm). Pack of 20 sheets. 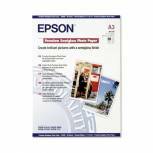 Epson Premium A3+ Glossy Photo Paper (Pack of 20) C13S041316 Pack of 1 Quality clean and clear paper. Provides a smooth and clear surface for printing. 255gsm paper weight. Glossy finish for added quality. Size: A3+ (329x483mm). Pack of 20 sheets. 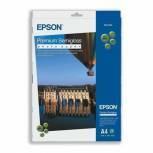 Epson A4 Premium Semi-Gloss Photo Paper (Pack of 20) C13S041332 Pack of 1 Epson S041332 Premium Semi-Gloss Photo Paper A4 for use with the Stylus Photo 2000P. Pack 20. 251gsm. 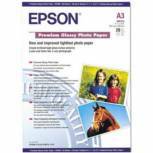 Epson A3 Premium Semi-Gloss Photo Paper (Pack of 20) C13S041334 Pack of 1 Epson S041334 Premium Semi-Gloss Photo Paper A3 for use with the Stylus Photo 1270/1290, 2000Pand Pro 5500. Pack 20. 251gsm. 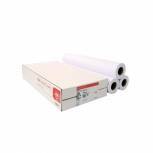 Epson Premium Glossy Photo Paper Roll 24inx30.5m C13S041390 Pack of 1 A resin coated photo paper with a look and feel of real photographic paper. This photo paper with high gloss, smooth, cockle free surface is an exciting media for advance-level amateurs, photographers and graphic artists. 165gsm. 24 inch x 30.5m. 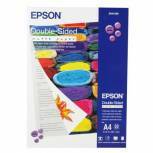 Epson Double-Sided Matte A4 Photo Paper Heavyweight (Pack of 50) C13S041569 Pack of 1 Quality clean and clear paper. Provides a smooth and clear surface for printing. 178gsm paper for lasting quality. Double sided for convenience. Size: A4 (210x297mm). Pack of 50 sheets. 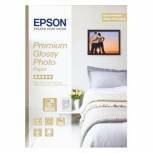 Epson Premium Glossy Photo A4 Paper (Pack of 50) C13S041624 Pack of 1 Epson Premium Glossy Photo Paper SO41624. A new photographic media which features a new resin coating that provides a feel and texture almost identical to that of traditional photographs. Size: A4. Colour - White. 255gsm. Pack 50. 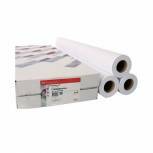 Epson Premium Semi-Gloss Photo Paper 44 Inchesx30.5m 260gsm C13S041643 Pack of 1 A resin coated based media with a look and feel of real semi gloss photographic paper. It can be used with both pigment and dye-based Epson inks, and has excellent colour reproduction with true photographic appearance. 255 gsm. 44 inch x 30.5m. 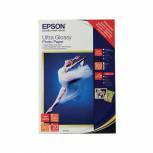 Epson Ultra Glossy Photo Paper 10 x 15cm (Pack of 20) C13S041926 Pack of 1 Ultra glossy photo paper. 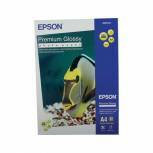 High quality 300gsm photo paper suitable for use in Epson Stylus and Epson Expression Photo printers. Size: 100 x 150mm. Pack of 20 sheets. OEM: C13S041926.